Published on 26. 06. 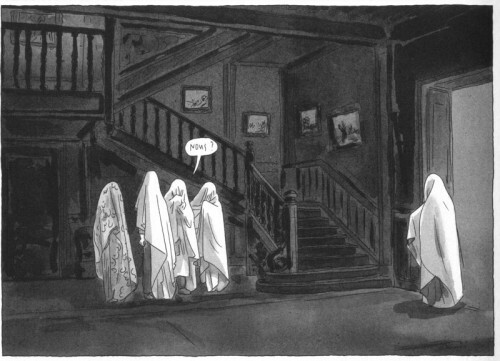 2011 in comics and cartooning and commentary and criticism. Closed Tags: Gene Colan. 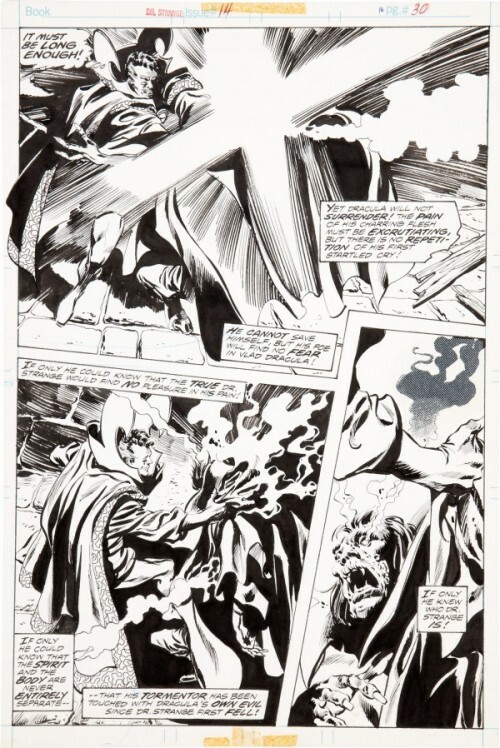 I was sad to learn on Friday that the great silver-age cartoonist Gene Colan, known primarily for late 60s and 70s Marvel Comics like Iron Man, Howard the Duck, and above all Tomb of Dracula, passed away after several years of battling liver disease and cancer. He was one of the great stylists of his era, standing apart from his more classically oriented peers in the Marvel Bullpen with an open, expressive idiom — sort of like “Ghastly” Graham Ingels did at EC roughly a decade and a half earlier. Unusually for a comic book artist, Colan’s drawing was defined less by contour and more by open, enveloping areas of dark. A dynamic chiaroscuro, his approach was less about the contrasting of forms than about their mutability. The kind of smoky chiaroscuro — sfumato – developed by Leonardo in the late 15th century was a means of representing the fact that physical form is not clearly demarcated in space, there is no such thing as contour, but rather joined together infinitesimally. Colan’s drawing works a kinetic interpretation of this principle — hands disappear in blasts of energy, legs careen off wildly, facial features dissolve smokily, and forms undulate mercurially. Eschewing the solidity of the Kirby school of action cartooning, Colan created a thrilling alternative, painting with his pencil.